It was a cultural moment in a year of swift changes. Much like the #MeToo movement brought attention to the sexual harassment of women, "Despacito" and later "Mi Gente" brought into clear view Latino artists' rising influence in the American and music scene. With staggering numbers, both the Spanglish "Despacito" by Puerto Rican artists Luis Fonsi and Daddy Yankee, and "Mi Gente" by Colombian-born J Balvin and French artist Willy Williams in full-on español, hit #1 on Spotify's most streamed songs worldwide. With 4.5 billion (and growing) YouTube views, "Despacito" became the "most viewed of all-time" video while "Mi Gente" followed with 1.4 billion views landing at #3 for top music videos of 2017. It also happens that six of the top ten YouTube music videos of 2017 feature Latino artists. Welcome to the new Latin music explosion. To put this sonic tsunami in perspective, this year marks only the third time that Spanish-language songs have hit #1 on Billboard's Top 100 Chart in American history, after 1987's "La Bamba" by Los Lobos and "La Macarena" by Los Del Rio in 1996. While there have been other instances of Latin cross-over successes going back to the Ricky Martin era and Gloria Estefan before that, the 2017 successes are unprecedented. Latino songs have also inspired the beginning of unlikely — and highly successful — cross-cultural collaborations. Remixes featured none other than pop artists Justin Bieber on "Despacito" and Beyoncé on "Mi Gente." "We never in our wildest dreams saw this coming," said Fonsi about "Despacito". "We knew we had a big song in the Latin market… I didn't know it was going to be #1 in Russia… [and] huge in Asian countries!" There are several factors that put this cultural music moment in context. There are cracks in the mold that have dictated artists record only one style and one language. We can thank globalization for that. Thirty years ago, the group Los Lobos defied the odds by following-up their #1 pop-rock hit "La Bamba" with a Mexican folkloric album that won them a GRAMMY, and they're still going strong. But for most Latino artists, it's a tough road to make it to the top of the U.S. charts. Founding band member Louie Perez credits the Internet. "It's giving artists complete freedom to do whatever they want. Groups can be a huge success just by the way they can market themselves rather than depend on a record company." Perez said that while Europe has a "huge variety of music that cross-talks all the time, American taste is very myopic. Record companies nurtured that for so long to monetize music. It became compartmentalized [with] everything you can imagine to support separate categories of music. You could listen to heavy metal, and only heavy metal for the rest of your life because there's an infrastructure for it: radio stations devoted to it and record companies that sell it." But "unification" is underway, according to Colombian superstar Juanes, who recorded an English-language song for the first time on the album he releasedthis year. "All this technology is [bringing] people closer. I think Anglo people are starting to listen to Latin music in a different way and that's fantastic," said Juanes. "And Reggaeton and urban music are connecting the whole world so that makes me feel proud of who we are." Streaming is the game-changer that shifted power to artists. For the U.S., the Recording Industry Association of America (RIAA) mid-year revenues report credits streaming for 82 percent of Latin music revenues, with paid subscriptions growing 74 percent, growing the fastest of major revenue sources. 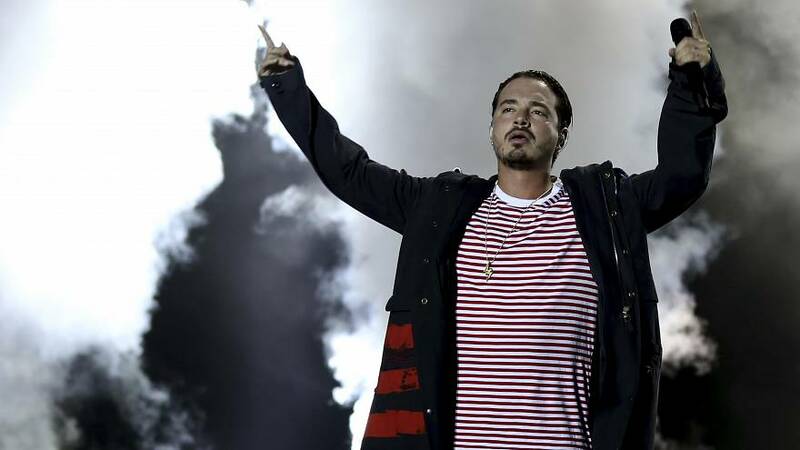 And it's not just in the U.S. "For the first time in Latin America, they're actually making a ton of money selling music through streaming," noted Lionfish Entertainment's Rebeca León, who manages both J Balvin and Juanes. "There was so much piracy before — like 80-90 percent piracy in those countries, you couldn't sell units. And now all of a sudden the whole region becomes so important to labels and composers. It feels like Medellín, [Colombia] is the epicenter of the Latin movement right now, [shifting from] Mexico City which has been the stepping stone to mainstream success," said León. "Colombia has had a big impact in [producing] urban music because their form of expression is more universal rather than vulgar; what I call 'neo-reggaeton', a beauitul fusion and true evolution of the genre that appeals to everybody," León said. "It's great that we have this power now," says Balvin, who independently emerged onto the scene in Colombia through YouTube and streaming. "It creates a newfound base for artists." Not to mention the power that it gives to consumers. "Latin explosion? There's no question it's happening," says León. "There's a hyper-consumption of reggaeton by Latin Americans —Latins are streamers, YouTubers, Spotifyers. These kids today are the lean-back generation that never had to buy music a day in their life. And José (J Balvin) is the epitome of the millennials. Everyone's looking at Spotify now as a reference for relevancy." Nearly six-in-ten U.S. Latinos are millennials or younger. With a median age of 28, along with the mainstream's median age of 37, that is significant for music consumption in this digital age. Add to that the secret sauce — the popularity of the reggaeton beat. "Reggaeton is so universally danceable, it really has helped this music travel", said Leila Cobo, executive director of Latin Content/Programming at Billboard. "If we were talking about ballads, the results would not be the same." What does this Latin music explosion mean for the future? For one, it's expanding through artists and nationalities. "In the next several years, we will see a lot more cross-pollination and multicultural collaborations," said Cobo. "There are collabs already out or in the works, Flo-Rida with (Colombian singer) Maluma; Fonsi with Demi Lovato [and] my favorite: Post Malone with Nicky Jam and Ozuna," (a Puerto Rican reggeaton and trap singer). What's new today, said Cobo, is that many big mainstream names want to collaborate with Latin musicians. Her suggested pairing? "I'd love to put Ed Sheeran together with Nicky Jam because they're both amazing songwriters and original voices, but coming from very different places. And Taylor Swift with a Romeo Santos or an Ozuna!" Rebeca León sees opportunity and challenge ahead. "Spotify's not fully global yet. Once they get all the territories online, like in Asia and the Middle East, we may see some equalizing effect. But in the meantime, it's a good time for Latin music. We just have to continue having really exciting songs that merit the attention, because you don't get there without a great song," said León. "Our talent and industry should really push ourselves to grow and do better because everybody's watching," she added. "Everybody's watching."